AP Moller Holding, together with PKA, PensionDanmark and Lægernes Pension, has launched a new infrastructure fund with a focus on Africa. The fund has received commitments of $550m from anchor investors. 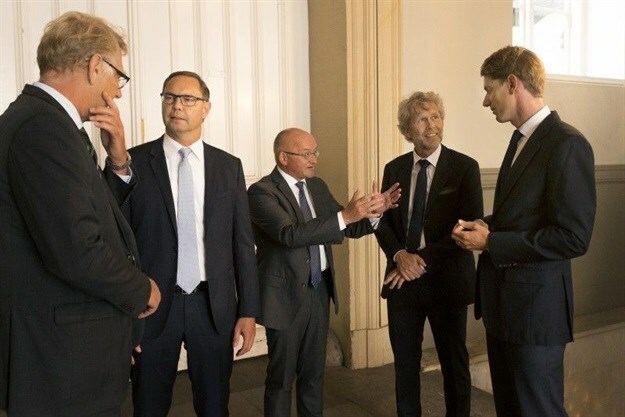 The fund will be managed by AP Moller Capital, which is an affiliate of AP Moller Holding, and consists of a team lead by four partners, Kim Fejfer, Lars Reno Jakobsen, Jens Thomassen and Joe Nicklaus Nielsen. “AP Moller Holding was established to build value creating businesses that have a positive impact on society. Africa, with a working-age population likely to reach more than one billion people in the next decades, has a pressing requirement for more investments in infrastructure. In this respect, we are delighted to have established a new promising company in our portfolio with a strong team, who hold the right capabilities and experience to manage infrastructure investments in emerging markets,” says Robert Mærsk Uggla, CEO of AP Moller Holding. The fund has a duration of 10 years and has an initial target of 10 to 15 investments in total. Following first commitments, the fund will be open for additional institutional investors for the next 12 months. The ambition is to raise $1bn in commitments.